Home » News » Renovating your Bristol or Reading house on a budget? We have 30% off! Renovating your Bristol or Reading house on a budget? We have 30% off! Are you planning on renovating your property and want to stick to your budget? With 30% off a wide range of windows and doors, Oakley Green Conservatories can help you keep costs down while transforming your house to the one you have always dreamt of. Here are some elements to think about when planning your renovations and making the investments count. Keep the draughts out and prevent heat loss with thermally efficient windows. Not only will this reduce your heating bills, saving you money in the long-run, it will add value to your home and it will also give you more control over your house’s temperature. We can help you decide which is best for your house. Double glazing is the most popular glazing; keep the noise pollution out and retain the heat during the colder months. If you experience the blustering winter southern winds, triple glazing could be best for you. 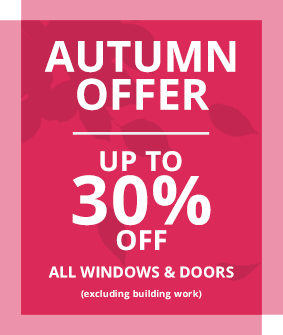 With 30% off, get in touch with one of our experts to kick-start your budget-friendly renovations. Your entrance door is the first thing your visitors will see of your home renovation, so it is important that it has the wow factor. 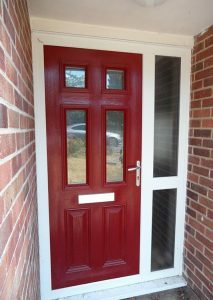 We have a vast door collection that can be tailored to your property, so we’ve got you covered whether you have an old-style property that coincides with Queen’s Square or beautifully colourful house on Cliftonwood Crescent, or something in between. Choosing a new door doesn’t have to be costly and with 30% off our high-quality range, we have something to fit your renovation budget and add value to your home. Short of space in your current property? A conservatory, extension or conversion could provide you with the additional room your family needs without needing to move house. If you’re not sure which would suit your property best, speak to a member of our team or take a look on our website to see how we have helped a previous client improve their property. Our specialist team will help you from day one, from tailoring solutions to your needs to sorting planning permissions, we’ll be there with you during every step of enhancing your house. Save money if you’re considering buying new furniture and think about what you already have that could be upcycled. Got some old-looking chairs? With a lick of paint and creativity, it could be perfect for another use. Someone else’s trash could be your treasure! Have a look online to see if you can grab yourself a bargain for the fraction of the cost to furnish your new space. Home renovations are a great way to update your living space without having to move home and can be an exciting project for the family. With careful planning and adding some contingency to your budget, you’ll be feeling less stressed and better prepared to start renovating. Contact a member of the team at Oakley Green Conservatories today, or visit one of our showrooms in Thatcham, Maidenhead and Bristol for some advice and ideas to get your home improvements started. Category: Company News, Windows and Doors.